Chalk paint is a complete game-changer. It’s called one-step paint, because whatever you’re painting, regardless of its current “finish” needs no priming or sanding. Laminate — veneer– varnish– whatever. 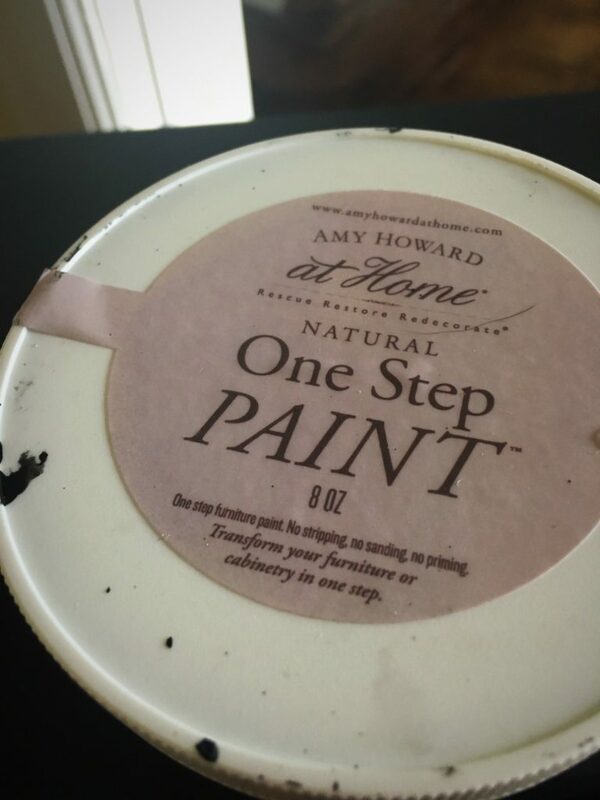 So, before I opened my jar of Amy Howard’s One-Step Paint, I read and read and read the how-tos. The overwhelming response I heard was — it’s thick and hard to apply. Some recommended spraying on the paint, thining it down with water. Spraying was not a messy option I wanted — so I simply thinned the paint down. I DID NOT follow precise measuring instructions or guidelines, mainly because I was just experimenting. But, the ratio was a just a bit higher paint than water and dipped my brush in. One coffee table, two light fixtures and the front doors of a cabinet later — I was sold. Even watered down, the chalk paint delivered nice, hefty coverage that was easy to apply and left no brush strokes — and I’m not that careful of a painter. 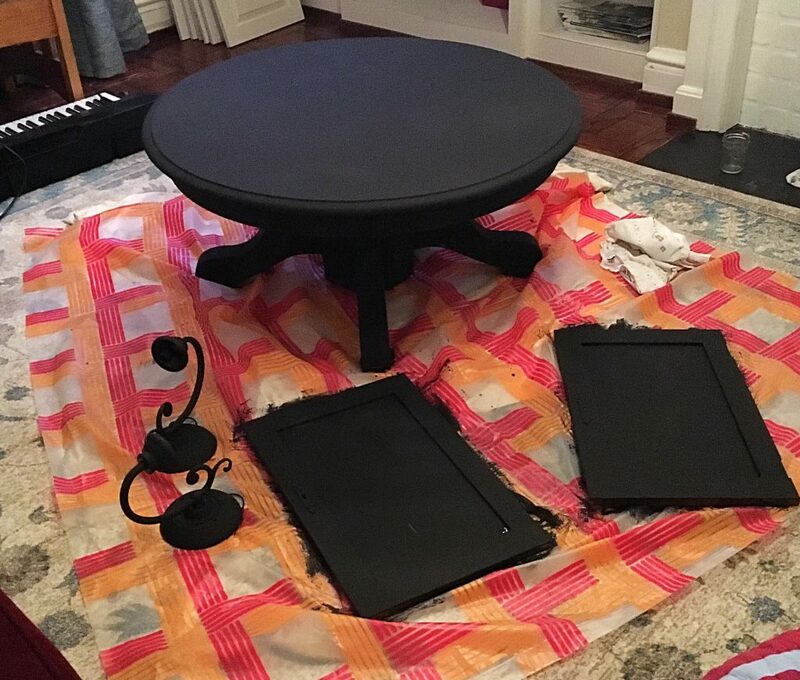 I could have stopped at two coats — because the pieces looked great — but I gave everything one final and third coat just to tidy everything off. 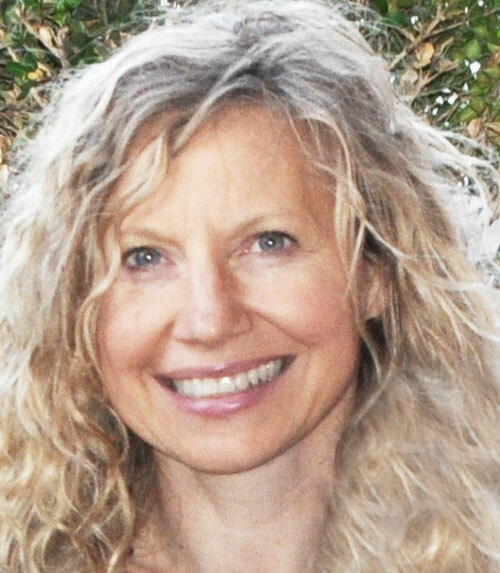 Sealing it — is another challenge. The traditional sealer for chalk paint is wax — but many people are saying, on the internet, that the wax does not do a great job of protecting — and you may have to repaint after a few months! NO! After reading a few posts from others who have gone before me — I’m going to try to wipe it on with a lint-free towel and to water down the polycrylic to see if that works.